The new England home football shirt and kit has been unveiled by the England FA today. England’s new home shirt is a very retro design and will hopefully make it all the way to the World Cup in 2010. Kit designers Umbro have developed the new kit to feature a classic retro-design style which is being increasingly common amongst football clubs. Many football clubs will be running out in retro kits next season, and the new England top leads the way. 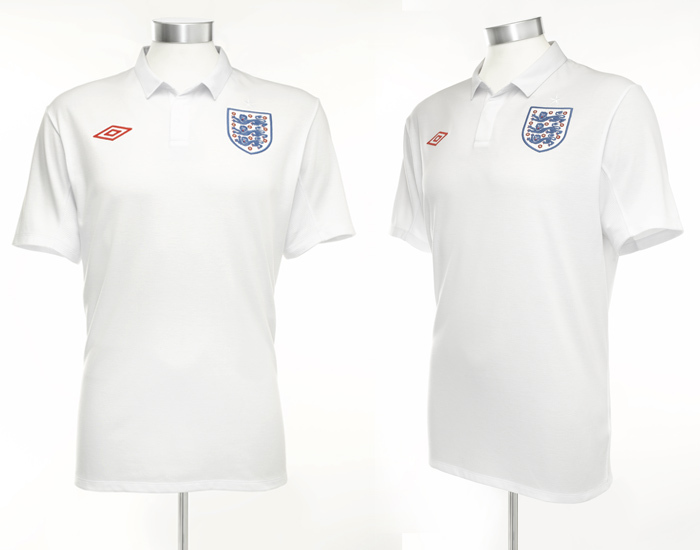 You can pre-order the new England shirt already and it will officially be released at the start of April 2009.